Combining symbolic image of both brand into one! An exclusive bag from Porter is about to release. An exclusive model from Japan representative bag brand “Porter” has been receiving big response every season from all fans. 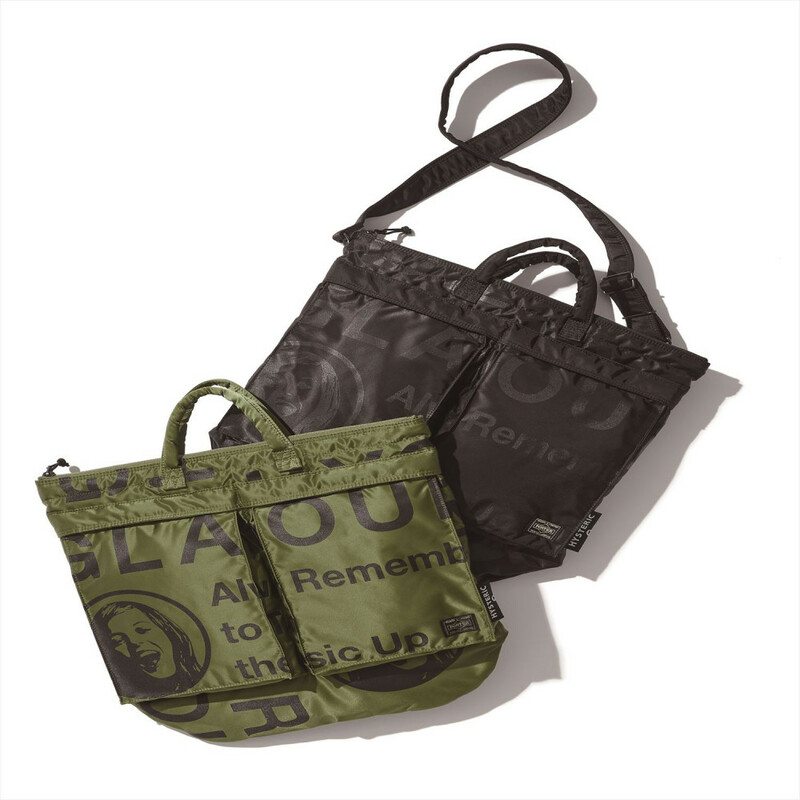 Upcoming exclusive mode, we will be proposing bag based on long seller “TANKER.” Among all, we have selected three general models from Porter as a base and arranged it by adopting MA-1 flight jacket inspired nylon body and HYSTERIC GLAMOUR iconic graphic to create special model combining symbolic image of both brand into one! Delivering new winter item from topical capsule collection! Following the popular capsule collection released recently, new arrival from Kevin Lyons capsule collection featuring women’s lineup such as waffle material one piece dress is about to launch. He is known as multi creator in New York with full of success in collaborating with famous brand and shop. This season, needless to say that HYSTERIC GALMOUR special version of his representative monster motif is continuously used as iconic design, our recommended one piece dress is design to direct feminine and gentle mood by picking up volume turtle neck silhouette for effective facial expression, zipper slit skirt and long sleeve. Picking up Pertex fabric to enjoy down jacket through outdoor activity with comfort! Developed for the purpose of wearing in severe high mountain area, Pertex nylon is appraised from its amazing lightweight, easy to store from its softness and thinness, durability and beautiful texture and used for numbers of real outdoor brands. Above all, this down jacket is adopting Pertex Quantum fabric, a fabric made in precise weaving of incredibly fine yarns with a function of super lightweight while maintaining excellent strength and abrasion resistance. We recommend simple jacket type for men and cocoon silhouette coat for women. It can detach hoodie and modify into stand collar. 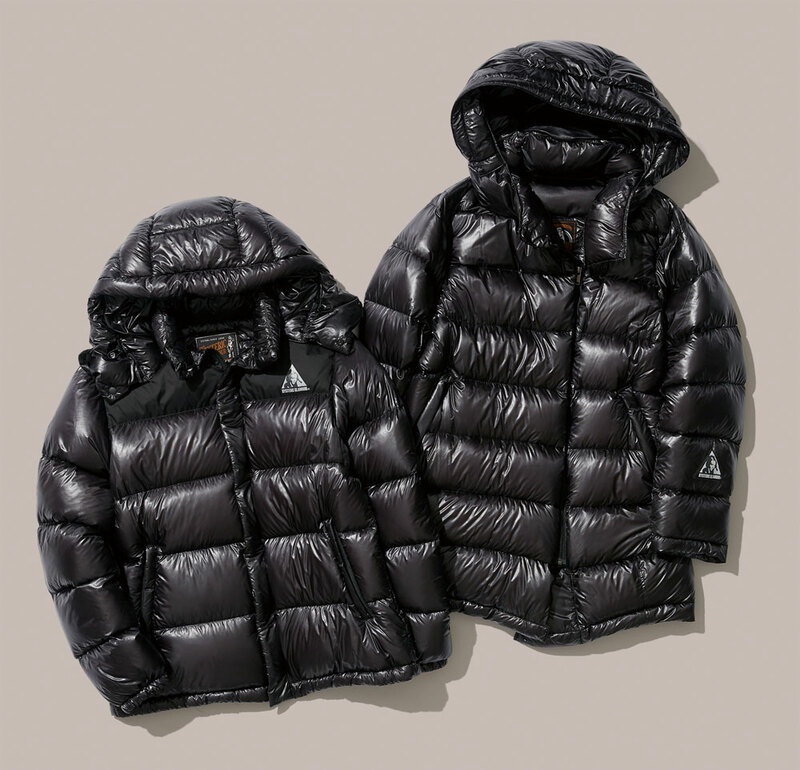 As well as the multi-task coat jacket on the left, this hooded jacket is also using lightweight and high density nylon material on frontal cover and high technology inner cotton, PrimaLoft. 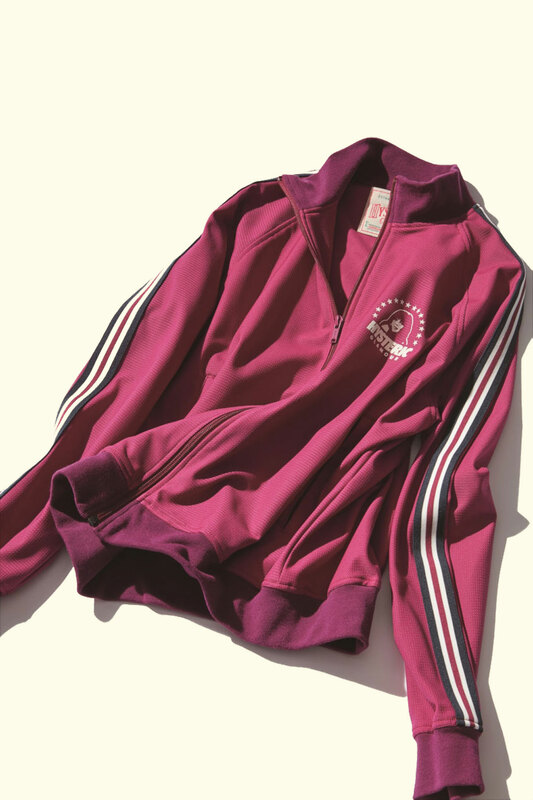 While utilizing high technology materials, the design of jacket is organized in authentic taste to match in variety of coordination. Also, it is featuring HYSTER GLAMOUR style graphic print on left chest, right sleeve and back as gentle accent to express our uniqueness in basic style. 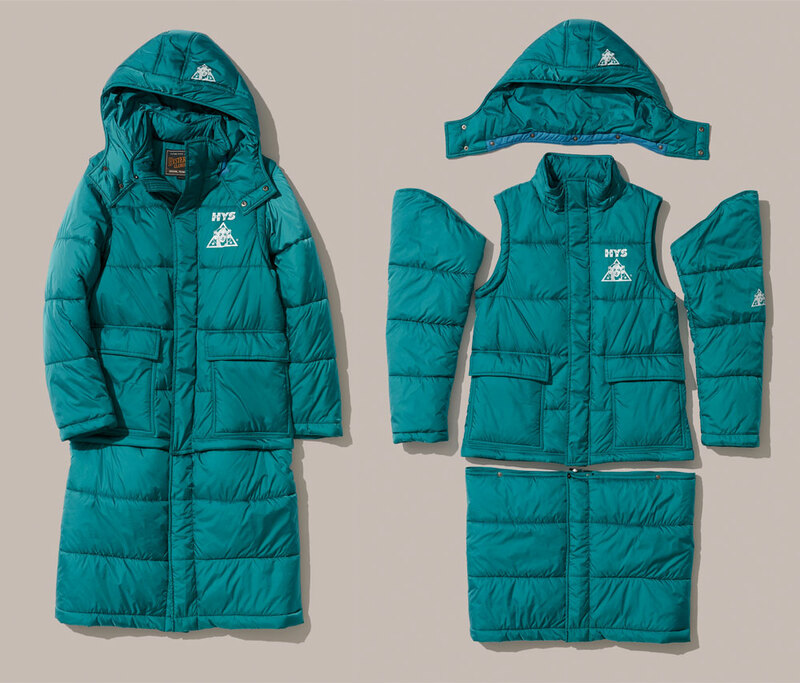 Excellence in heat resistance and lightweight, HYSTERIC GLAMOUR PrimaLoft lineup is converted to surreal outfit which is convenient in arrange coordination. Technology meets fashion! Featuring detachable specification on hoodie, both sleeves and hemline, it can be worn as long coat jacket, short jacket and vest to match in different weather conditions and seasonal coordination from autumn to early spring. “PrimaLoft” provides excellent heat retention, lightweight, and compressibility. Also, different from natural down material, it shows good performance in bad condition weather and moreover it is very easy to take are. 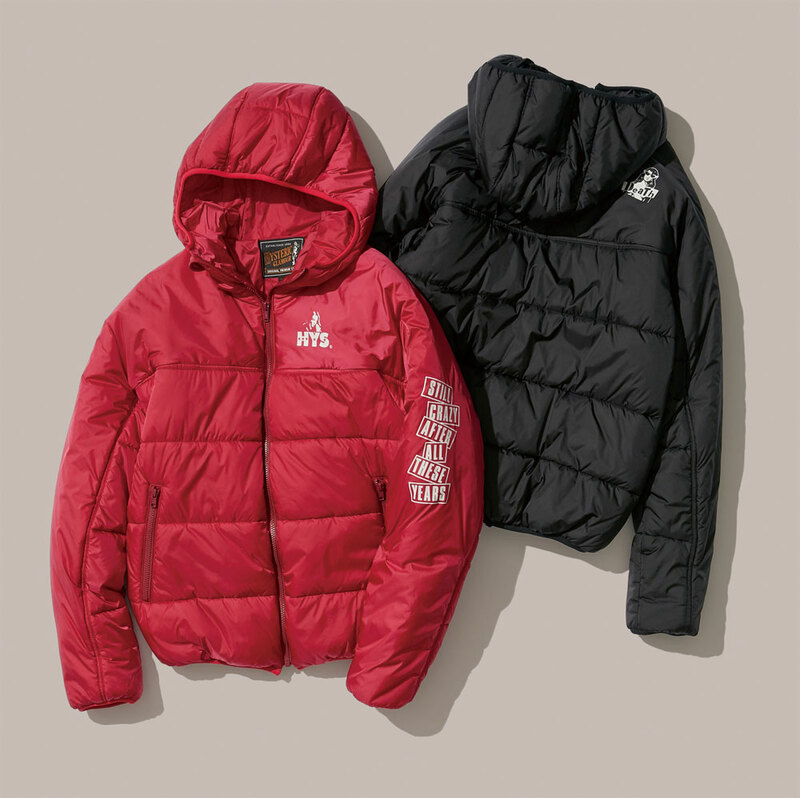 Originally developed for the U.S. military, it is currently used by many outdoor wear, but HYSTERIC GLAMOUR was the first brand in the world used PrimaLoft in general apparel in 1994. Since then, we have been handling it as standard material for winter collection and known as a representative brand adopting PrimaLoft. For upcoming winter season, we have lined up variety of high function insulation outer. Among all, we strongly recommend this long coat. 脚長効果も嬉しい！ 旬のプラットフォームシューズが初登場 Providing beautiful silhouette, trendy platform shoe is arriving as new item! Started from women’s trend item, platform shoe has been focused in men’s fashion trend. Not only it provides fresh impression on foot, but also gives good impression in body line from its volume outsole. 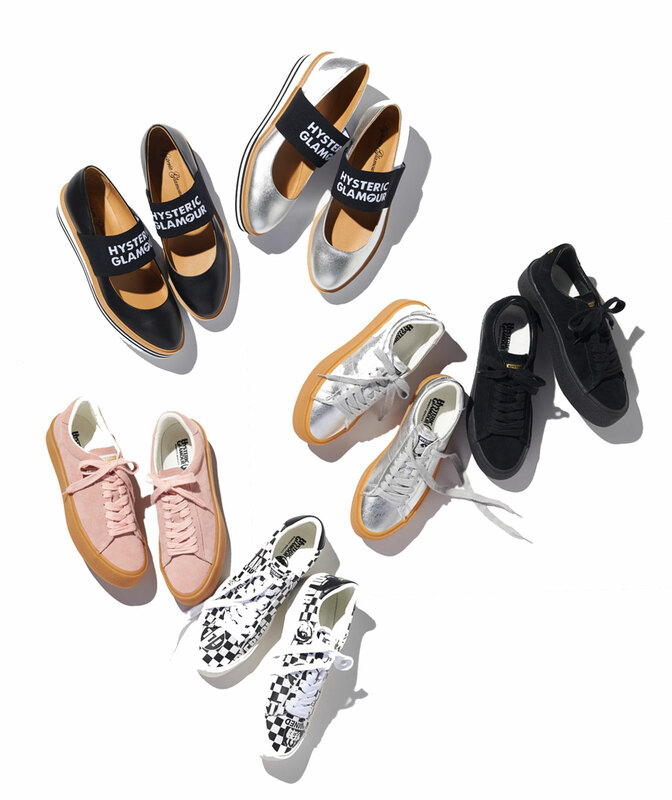 This season, HYSTERIC GLAMOUR is focusing on platform shoe with variations. For women’s, we recommend ballet type with an arrangement of logo printed elastic belt on upper. While directing the appearance with volume, we have adopted lightweight EVA sole and sporty taste border line on side to express lightness in both physical and visual aspect. In addition, we have also arranged standard low cut sneaker with volume outsole as unisex model. While wrapping thick foxing tape with crepe sole like grain around the sole and finishing like rubber sole shoe, it contains function of lightweight and comfort fitting like sneaker. Moreover, we have selected classical Vulcanized process for durability and high water resistance. For other variation, we have prepared punky Derby shoe introduced in page 6 and ankle boots and long boots for women’s only. Good news for every fan! Collaboration with Rocky Mountain Featherbed is back again! Annual special makeup with Rocky Mountain Featherbed will be released. 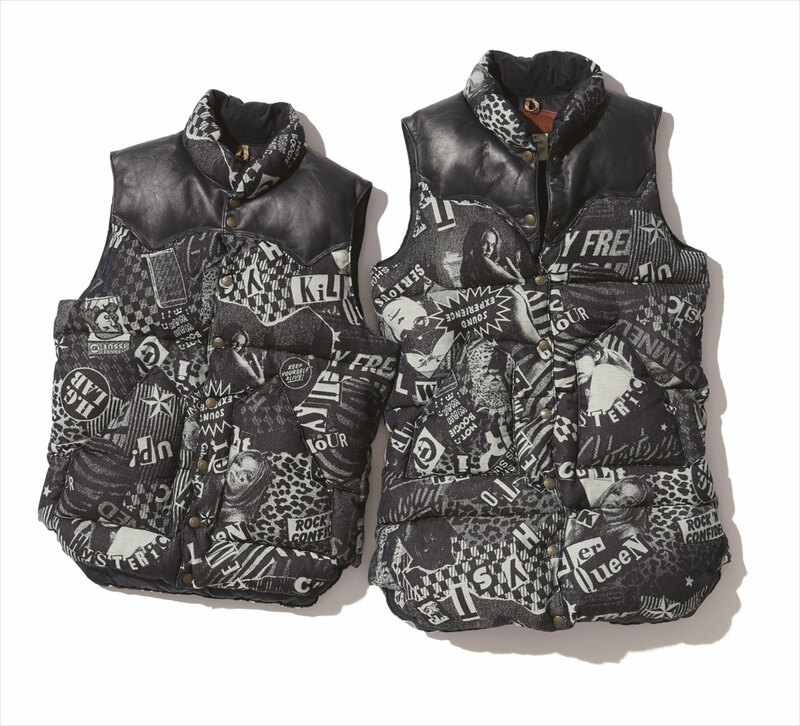 For the latest special makeup, we have picked up graphical indigo denim featuring HYSTERIC GLAMOUR original collage pattern with a function based on symbolic down vest. Additionally, we placed one-layered navy leather for shoulder yoke and adopted smooth and soft corduroy material for inner collar. Depending on the size, there is possibility of getting sold out in early time, so we recommend everyone to check soon! “Klean Kanteen“ is a fine bottle with a function of stain-resistant and preventing smell transfer, plus featuring 18/8 stainless body sturdy and strong against rust. It is also adopting human body friendly BPA free cap and smart and fine silhouette. HYSTERIC GLAMOUR has been releasing exclusive model of “Klean Kanteen” and well received as fine item, and this season, we will be releasing new models. One with a wide aperture bottle for easy to clean and convenient to insert large ice. Another new model is handy tumbler that matches in various situations, from home, office to outdoor scene. Both bottles are made by double layered Vacuum-Insulated structure that it can keep both cold and hot drink for long period of time without any trouble, like no condensation even when pouring a cold drink nor too hot to carry. You can enjoy your favorite drink anytime and anywhere fashionably. Kevin Lyons is multitalented artist as creative director; designer and illustrator based his work in Brooklyn, New York. Attracting fashion scene around the globe and receiving strong collaboration offers from top tier select shops, popular brands and famous company, HYSTERIC GLAMOUR has materialized the collaboration to create our first capsule collection featuring our symbolic monster motif. Let us introduce collection based on special artwork made originally for HYSTERIC GLAMOUR with special interview! Lightweight and hard to steam, we have produced comfortable new jersey!